Gaelic Storm: After nearly two decades and more than 3,000 live shows, Gaelic Storm — the chart-topping, multi-national Celtic band — is looking sharper than ever with their latest release, Matching Sweaters. The new album mixes traditional Irish music with modern influences, creating a sound that's as wide-ranging as the band's own audience. 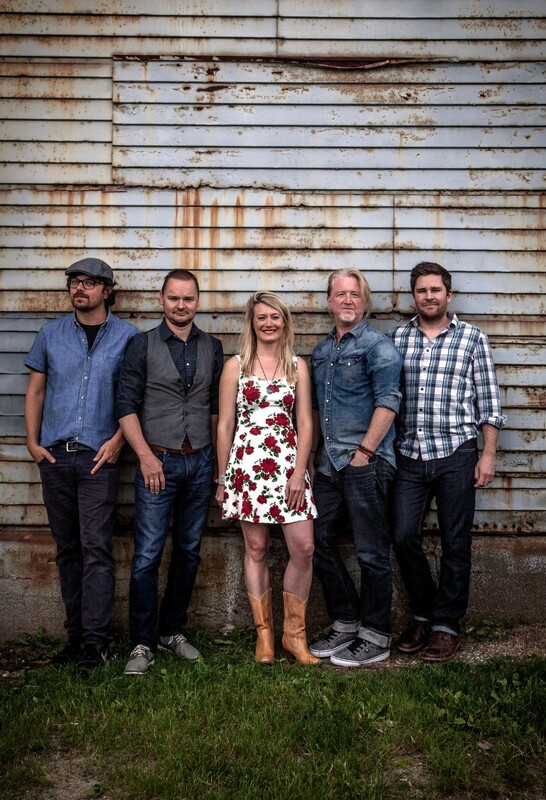 From bluegrass fans and country cowboys to Deadheads, rock & rollers and Celtic fanatics, Gaelic Storm has built one of the most diverse fan bases in modern music. Matching Sweaters helps explain the broad appeal. Rooted in the songwriting of founding members Patrick Murphy and Steve Twigger, the album moves from drinking songs ("Another Stupid Drinking Song") to energetic instrumentals ("The Narwhaling Cheesehead") to rootsy pop/rockers ("Whiskeyed Up and Womaned Out"), gluing everything together with the spark and spirit of a band that's spent close to 20 years on the road. "We're a touring band," says percussionist Ryan Lacey, who joined the lineup in 2003. "That's how this band works. Matching Sweaters is one of the most complete albums we've done so far, because it taps into every facet of our live show." Those live shows date all the way back to the mid-1990s, when Gaelic Storm kicked off its career as a pub band in Santa Monica, California. By the end of the decade, the musicians had appeared in the blockbuster film "Titanic" (where they performed "Irish Party in Third Class") and laid the groundwork for a career that would eventually find them topping the Billboard World Chart five times, making appearances at mainstream music festivals such as Summerfest, Telluride and The Rock Boat Cruise, and regularly headlining the largest Irish Festivals across the country, all the while gaining a reputation as a genre-bending Irish band whose songs mix Celtic traditions with something new and unexpected. Now, with the band's 20th anniversary on the horizon, they're putting even more emphasis on those newer directions. "We'll push the envelope, then reel it back in, then push it again," says Murphy. "There's a lot of variety here, and that's why we can play country festivals, bluegrass festivals and rock festivals, and still fit in perfectly with each one. We wanted Matching Sweaters to reflect that range, so people could buy the CD and hear everything we're able to do in concert." When it came time to write Matching Sweaters' 12 songs, Murphy and Twigger teamed up with longtime friend and co-writer Steve Wehmeyer. Together, the three found inspiration in everything from old Irish newspapers ("The Rustling Goat Gang," whose details were gleaned from an article about a vanishing goat herd from Waterford) to bits of conversation overheard in local pubs ("Paddy's Rubber Arm"). In addition to writing new songs, the musicians have continued to play new markets every year, taking the chance to stretch their boundaries — and widen their audience — whenever possible. It helps keep them on their toes. "Playing for a new crowd is great," says Twigger. "It takes you back to those early days, where you've got something to prove. We could just do Irish festivals, but why not play a crossover show where 90% of the audience doesn't know you, and you have to make them know you? That's what makes your band good." Matching Sweaters follows in that hard-working tradition, dishing up all the ingredients fans have come to expect from Gaelic Storm — the drinking songs, sea shanties, furiously-strummed instrumentals and sing-along melodies — while spiking the mix with newer flavors. Eat it up, but make sure to save some room! There's plenty more where this came from.